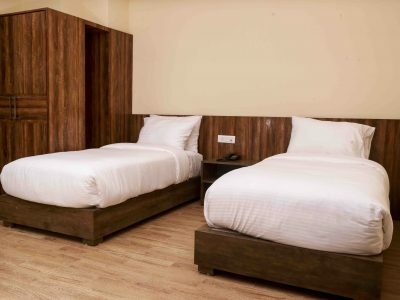 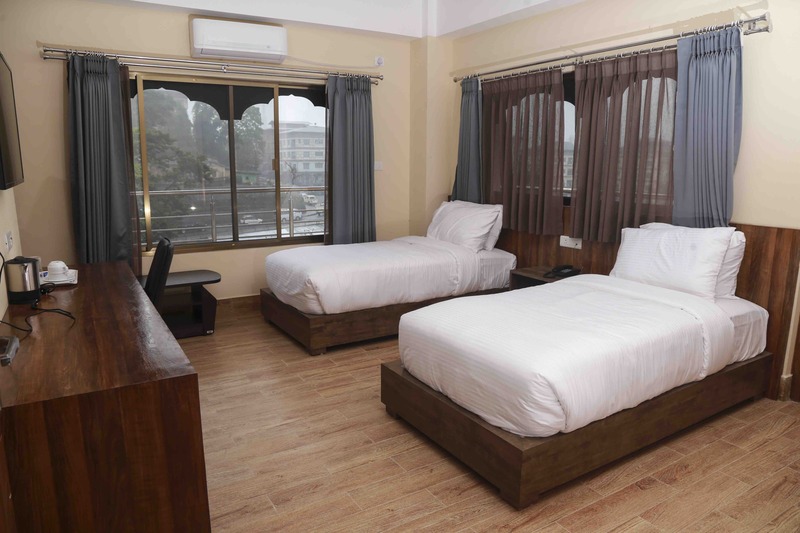 The Superior Twin rooms are furnished with 2 single beds. 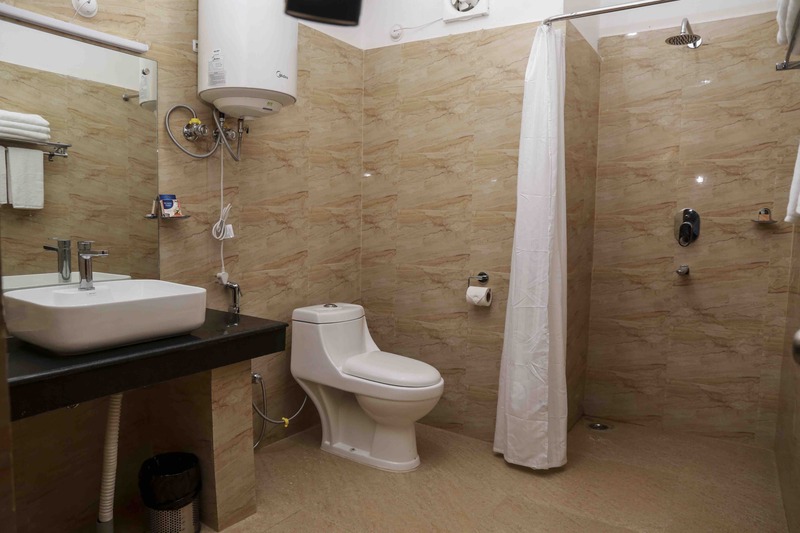 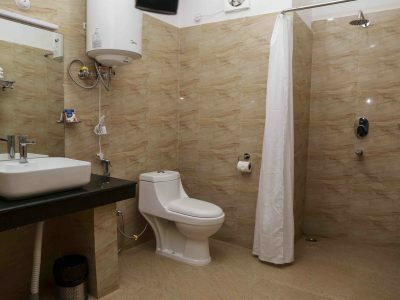 Every room is equipped with tea/coffee making set, toiletries (soaps/shampoo) and other amenities. 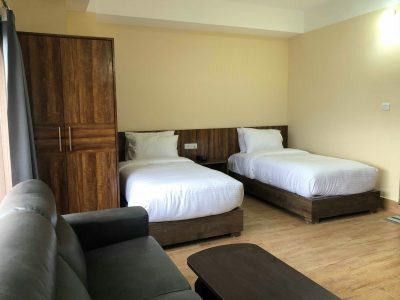 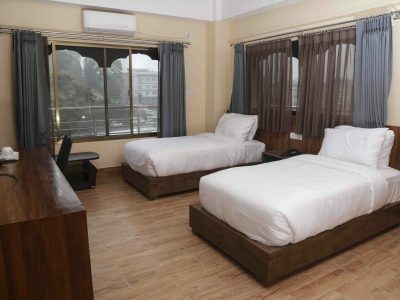 Hotel Phuentsholing offers high speed Wifi connection, free for our in-house guests. All rooms have air-conditioners, flat screen TV, and are accessible by lift. 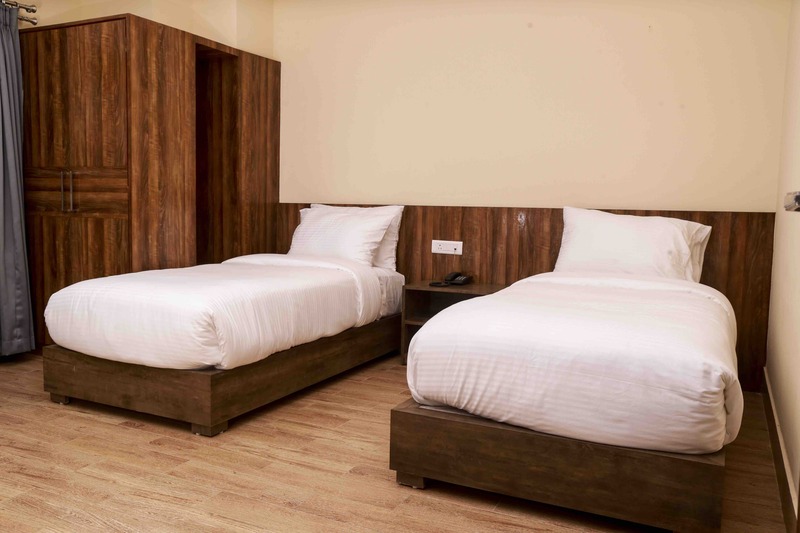 The twin beds can be merged to accommodate a king sized bed.